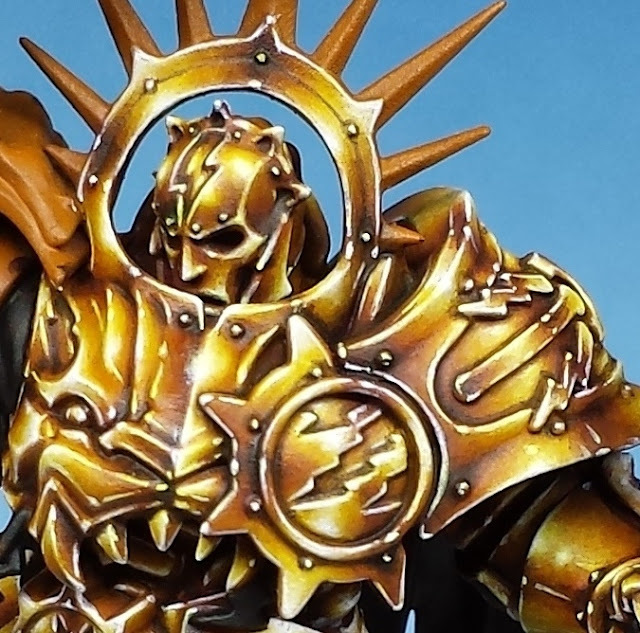 I get asked a lot about painting non metallic metals, also known as NMM. In this post I hope to explain the theory behind the technique and also how I go about rendering this technique on a miniature. To start with it's worth saying that the non metallic metal technique is basically a way of painting convincing metal effects on to a 2D surface. You will see this used on a lot of art when the artist has to paint metallic areas without the aid of metallic paints. 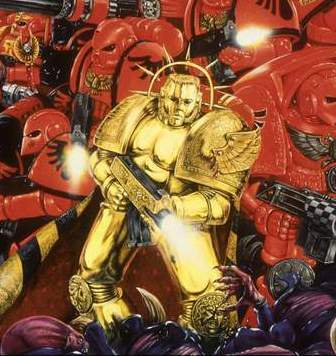 This Blood Angel art by Dave Gallagher is a good example of this. So with this in mind technically NMM should not really be applied to miniature painting as it is a 2D technique and miniature painting is a 3D art form. 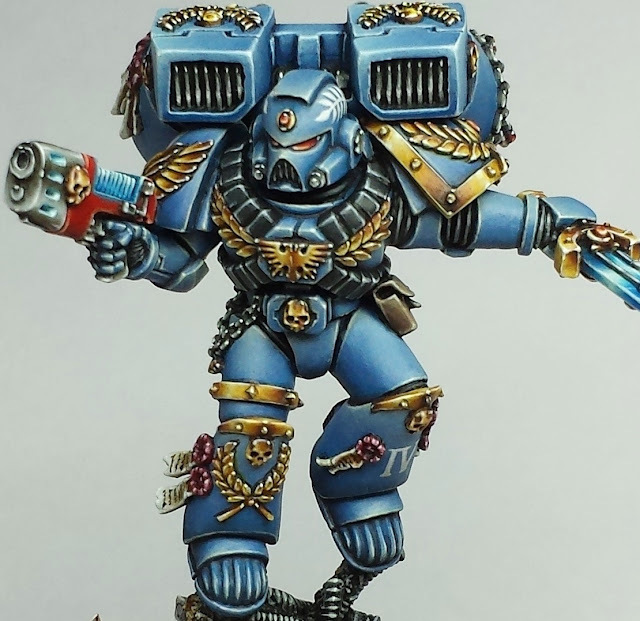 This certainly doesn't stop miniature painters from applying non metallic metals to miniatures because if done well it can create a pleasing finish. Painting NMM is all about tricking the viewer into thinking that what they are seeing is real metals, to do this you need to observe how light reflects and reacts to different metallic surfaces. A great way to start to lean this is to look at art work. You can pretty much transfer what the artist has done onto your miniature, when I started learning NMM I painted a few sword blades and copied what I saw on the art onto the blade. My Death master Snikch is a good example. When I approach painting a miniature in non metallics I first imaging 4 points of light around the top of the model. This help me to place my initial guide highlights over the model. I've found that imagining these four spots of light at each corner of the miniature gives me a good indication of where the light will be as I paint the model, it's easy to get confused and a bit lost when painting NMM so this keeps it simple for me. The amazing diagram below should help :). Another trick when painting NMM is to change the tone of the colour when the surface you are painting changes angles. 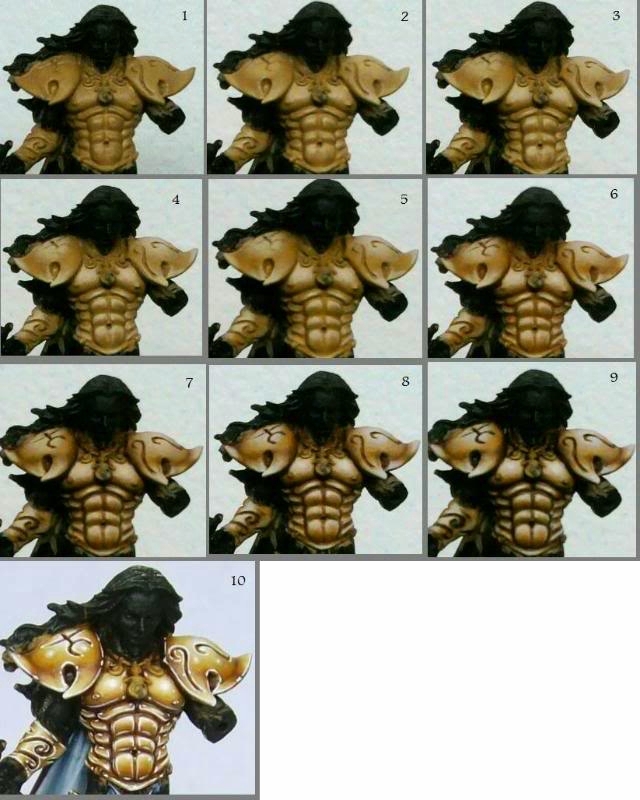 So if you are painting some gold armour and it has a corner change the tone from extreme light to extreme dark at this point. You can see in the image below how much the contrast changes in the armour surface as it changes shape, the foot is a good example of the colour going from light to dark to light again giving the illusion of a reflective surface. What I've found helps a lot in achieving a realistic shiny metallic finish is a the last stage of reflection highlights that are added. When trying to learn this technique I observed that many painters didn't add this effect to their NMM and I started to experiment with it. The stages below on the Sanguinor which I painted show how this last stage can really give you that shiny reflective effect to the surface. Adding these reflection lines and hot spots over the surface in the correct places and on the edges can give you a nice effect. The stage that you add the glazes is quite important as until this stage they are can appear very wooden and lacking in colour. The glazes add a lot of richness to the surface and punch a lot of colour in for you. Doing it at the end of the highlight and shade process gives you a lot of control over the desired finish. The image of Ikit Claw is a good example of a few different NMM colours on one model, I wanted to give him copper armour with steel claws and brass detailing. It was all painted using the same technique but by changing the colours I used. 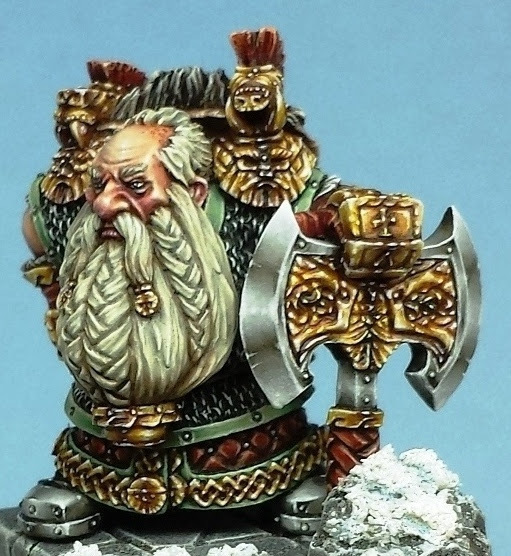 The image of the Dwarf Lord shows the steel NMM technique next to the gold one. Notice the white hot spot highlights placed within the extreme dark areas. 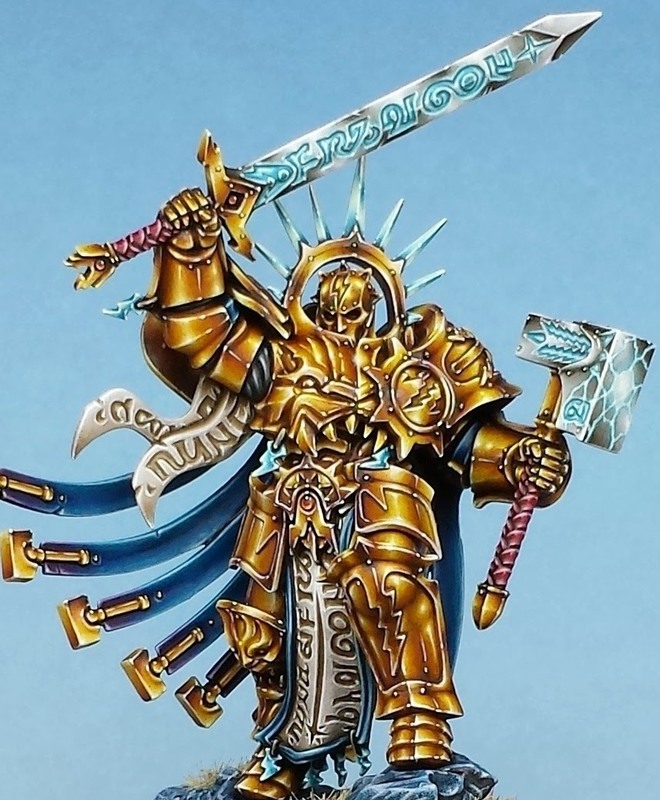 The image of the Stormcast Lord shows the use of the glazes to add colour and then the use white to add the reflection points and final highlights. Here are a few close ups of some of my miniatures showing the techniques I have described. I don't usually post such large pictures but I think it's important to see how the NMM technique is applied. 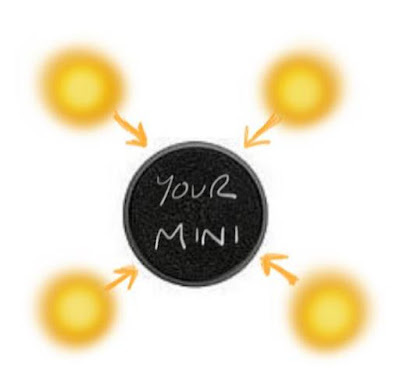 I hope this post has been useful for you and if you are thinking of trying NMM then hopefully it will help you along the way! Thank you so much. I'm just starting to get into NMM and this is a great help! Great tutorial. Thanks for posting. Thanks for the tutorial, it was really clear. Your blending is pretty flawless even with the extreme close-ups. I'm not sure about NMM - I like to see it, but don't have the confidence to try it. As an intermediary step, would using metallics in the same manner work? I've never been a fan of NMM but it doesn't hurt to practice. Thanks for the tutorial. Recipe for bronze and copper? That final spot highlight really does make all the difference on really reflective surfaces. The problem I have, as I'm still working on my blending skills, is creating a nice blend on such a small area like that. Trying to blend in a small dot like that is a bit beyond me at the moment. Any tips? 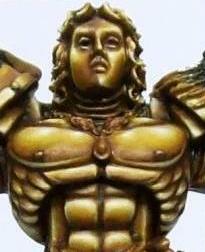 I've looked through many NMM guides but this one easily has the best reference photos. Thanks for this great tutorial. The post is really nice and informative. We are look forward for more posts. Thanks so much for posting such close up photos, they really help! Anyway to post each step as a separate picture?